Ministerial Staff - Praise The Lord! Pastor May was born in Seattle Washington. He was raised by his proud parents, Calvin and Ora May. He accepted his calling into the ministry at the young age of fifteen (15) becoming the first Son in the Ministry of the late Rev. Dr. Robert Houston. His first message was preached on Easter Sunday, April 10, 1977, at the Beacon Hill First Baptist Church. Pastor May graduated from Franklin High School, with honors, in June of 1980. In September he enrolled into the renowned Bishop College in Dallas, Texas to attain his Bachelor’s Degree in Religion and Philosophy. In 1984, Pastor May flew back to Seattle to receive his License of Ordination under the authority of Pastor Houston. In June of 2010 he received his Bachelor of Arts and Science degree in Accounting from the University of Phoenix. In December of 1980 he married the love of his life Sister Cassaundra Jean Craig. With Rev. May attending Bishop College, they made Dallas their home until 2001 when they relocated back to Seattle. Shortly after relocating to Dallas, they united with the Greater Mt. Sinai Missionary Baptist Church under the leadership of the late Rev. 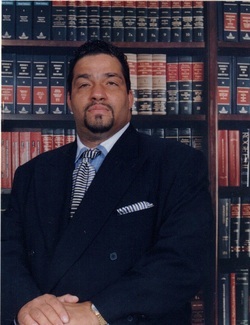 L. C. Jones, Sr. As Associate Minister at Greater Mt. Sinai, he was a supporter of the Brotherhood Department, as well as instructor of the Sunday School Teachers. In 1995, upon the retirement of Pastor L. C. Jones, he was selected as the new Pastor of Greater Mt. Sinai Missionary Baptist Church. He served as the spiritual leader, preacher and teacher of God’s word; sharing the gospel with boldness to the congregation and the community. During his pastoral appointment, he focused on church growth through spirituality, discipleship and evangelism. He preached the word of God so that souls were saved, hearts were healed, and families preserved. As well as pastor of Mt Sinai, he also served as the First Vice-Moderator of the Unity District Missionary Baptist Association of Dallas consisting of twenty (20) churches. Having a desire to be with their extended families, Pastor May and his family relocated back to Seattle in 2001 and reunited with the Beacon Hill First Baptist Church. He worked diligently and faithfully with his Pastor until June of 2006 when Dr. Houston gave him the opportunity to serve at the Pilgrim Rest Missionary Baptist Church while they prayed and sought God for a new pastor. In 2009 Rev. May was called to serve as Pastor of Pilgrim Rest and was officially installed in May of 2009 by his pastor the late Rev. Dr. Robert Houston. As pastor of the Pilgrim Rest Missionary Baptist Church, he worked faithfully in preaching and teaching the word of God so that souls might be saved. He served as Pastor of Pilgrim Rest until February 13, 2011 after being selected as the new pastor of the Beacon Hill First Baptist Church. Pastor May has been married to Sister Cassaundra J. May for thirty-one (31) years. They are the parents of three beautiful daughters; Candice 30, Charlisa 29, and Crystal 16.